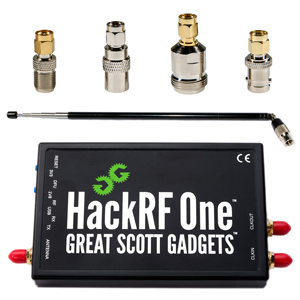 A high-quality RF (MF, HF) converter for software defined radio devices like the NESDR series, the HackRF, and pretty much every other SDR currently made. Also works as a panadapter for most radios! 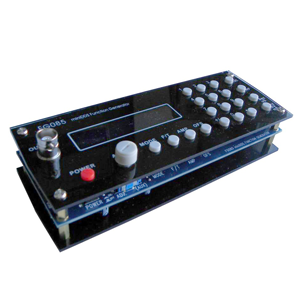 It will function in both transmit and receive modes if available on your SDR. Proudly made in the USA and Canada! Now shipping v1.3! 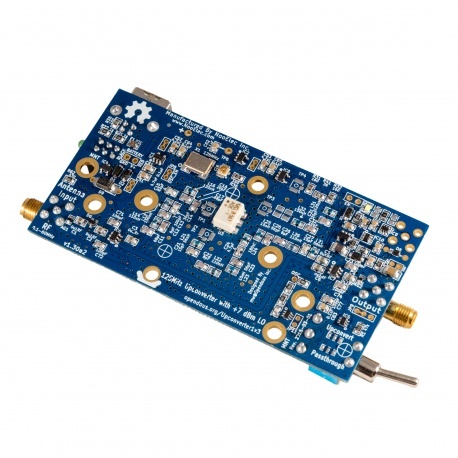 We believe this is the best SDR upconverter available. Here is why. Proudly designed, fabricated and assembled in the USA and Canada! 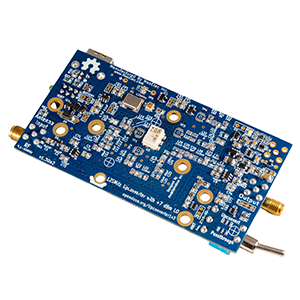 New ultra low-noise linear power regulator (LP5907), with voltage noise under 10 µVRMS! IMPORTANT NOTE: due to changes implemented in v1.3, enclosures built for previous Ham It Up models are NOT 100% compatible. Specifically, new end-panels are required for full compatibility with older enclosures. Along with v1.3-specific enclosures, we also carry end-panel sets to allow for installation of Ham It Up v1.3 into older enclosures. If you cannot find these in our store, please contact us! 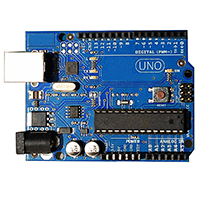 Full project documentation--schematics, PCB design files, assembly information--is freely available. BONUS! 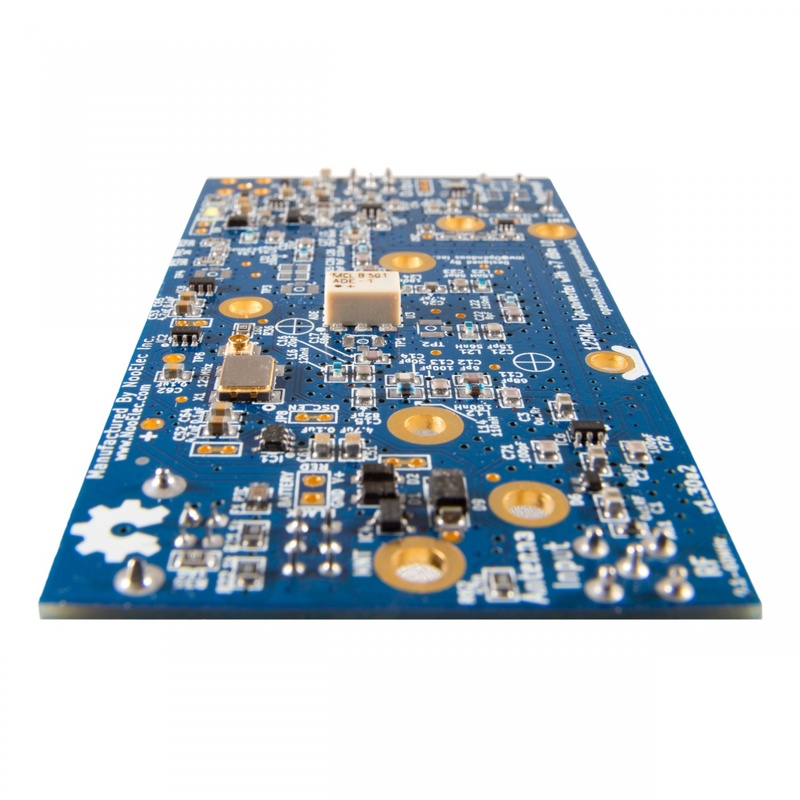 We had space left on the PCB, so rather than waste it we have added a noise source circuit at no additional cost! 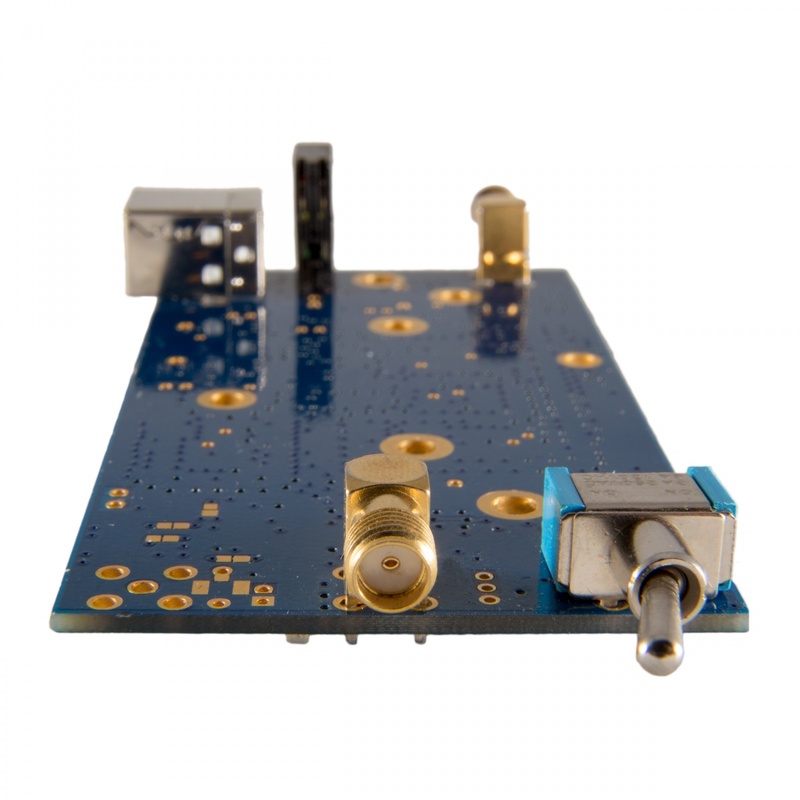 We have even populated most of the components for you. 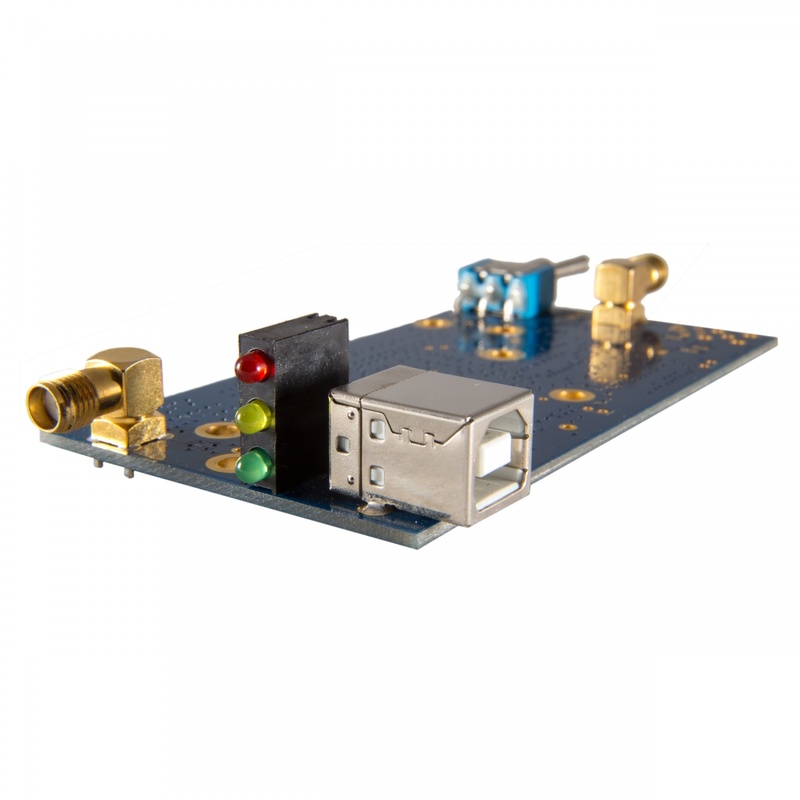 We have the SMA connector required to complete this bonus noise source circuit available for a small additional fee. 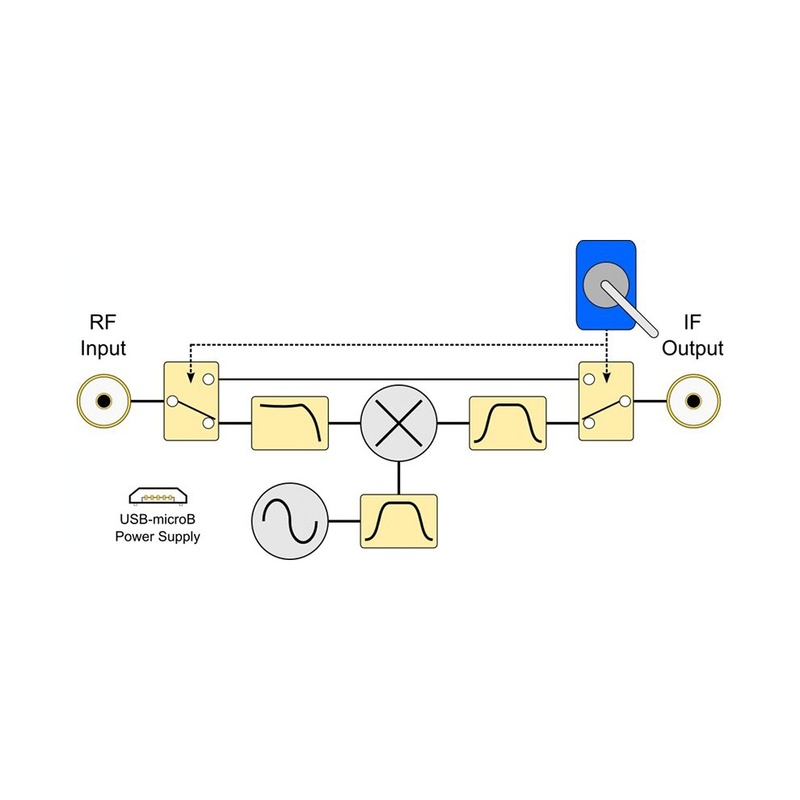 Details of the noise source circuit are available with the project documentation. 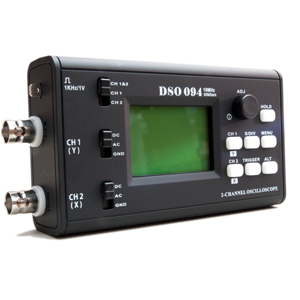 Before operating your unit for the first time, and every time you run with a new SDR, we recommend running the tuning procedure located here. It is not a mandatory procedure but may help fine-tune your, erm. tuning. The basic operational instructions follow. 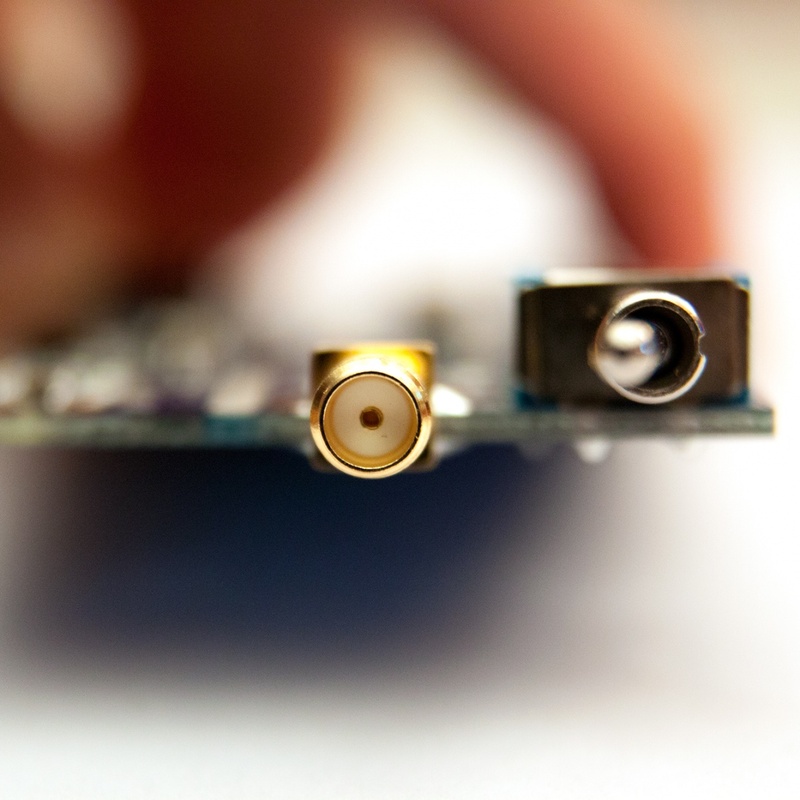 Fire up your favorite SDR software. Tune to 125MHz + (+/- the tuning offset from the tuning procedure) + your desired frequency and enjoy! I bought the V3 with an enclosure as soon as the V3 was available. Since that time. It has been a true joy to use. The V3 has an on board noise source that adds greatly to the value while making more than just an up converter. It becomes a piece of test equipment that if doing antenna or filter work you will find to be something you can’t do without. 1 The converter works flawlessly. 2 The noise source is an extra that is the perfect add on. 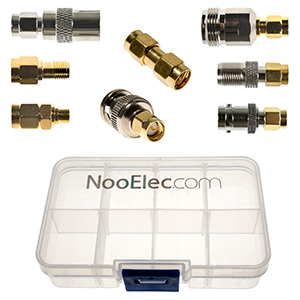 3 The technical assistance from NooElec are very courteous, quick to respond and very knowable! 4 The optional case fit and finish are perfect. 5 It is bidirectional. I have not tried this yet but do intend to in the near future. Would I recommend this to a friend? With enthusiasm! If this review sounds over optimistic. I would like to say that I have written my share of reviews and what is reflected in this review is how I see it. If it were a substandard or marginal product I would not hesitate to put it down as such. In this case I am happy to say NooElec did a great job! If you are coupling this to a TV dongle be aware that the RTL dongle has some shortfalls that no converter alone can correct. The converter will work 100%. 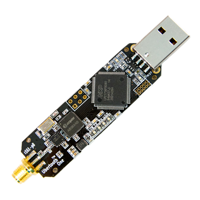 Making a RTL dongle perform well takes some antenna and filter considerations. love it, thank you to who made it. like the others here have said, great way to get short wave and ham and cb. I purchased mine month and a half ago. 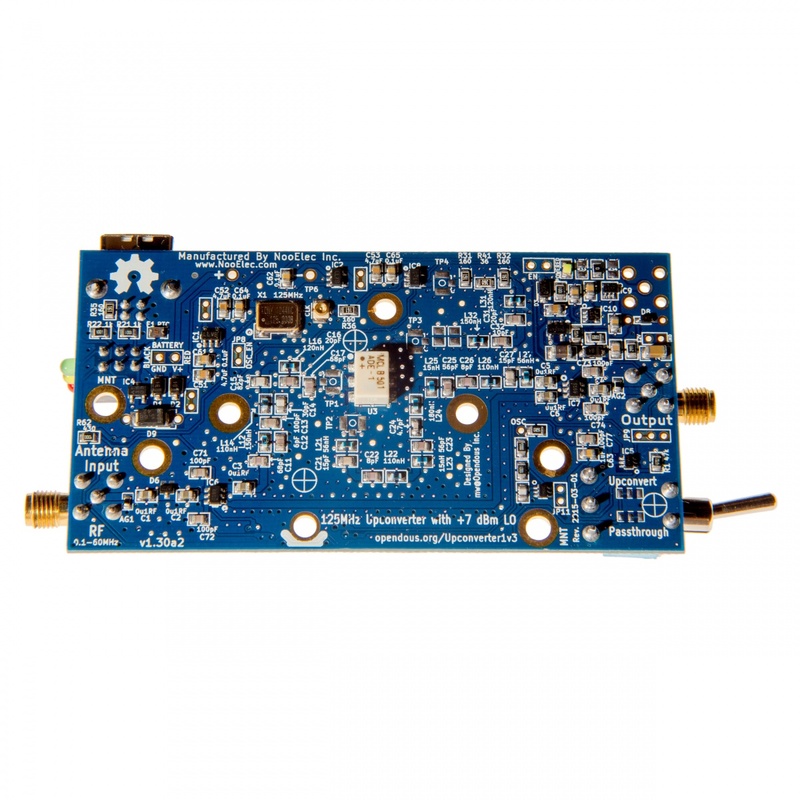 It transforms your RTL2832U R820T SDR DVB-T DAB dongle into a general coverage receiver from DC to 1.766 ghz all modes. Weather facsimile, ADS-B, Military, Weather reports over HF, Amateur radio, SSTV, RTTY, FM Stereo, AM broadcast MW and SW, Why spend $500 or more for the same range of frequency? Here is my video example with the Ham It Up up converter in action. Bought mine of their Amazon store and love it. It came quick (got stuck at the border but that had nothing to do with NooElec) and is working like a charm. I love that they updated it to a 125Mhz rock, but I don't like that they are using the large USB connector. Others complained about the micro so they changed it to this one, but I much prefer the small one as I have more of that cable time around. Also, I would like to know if this thing is capable of VLF reception? 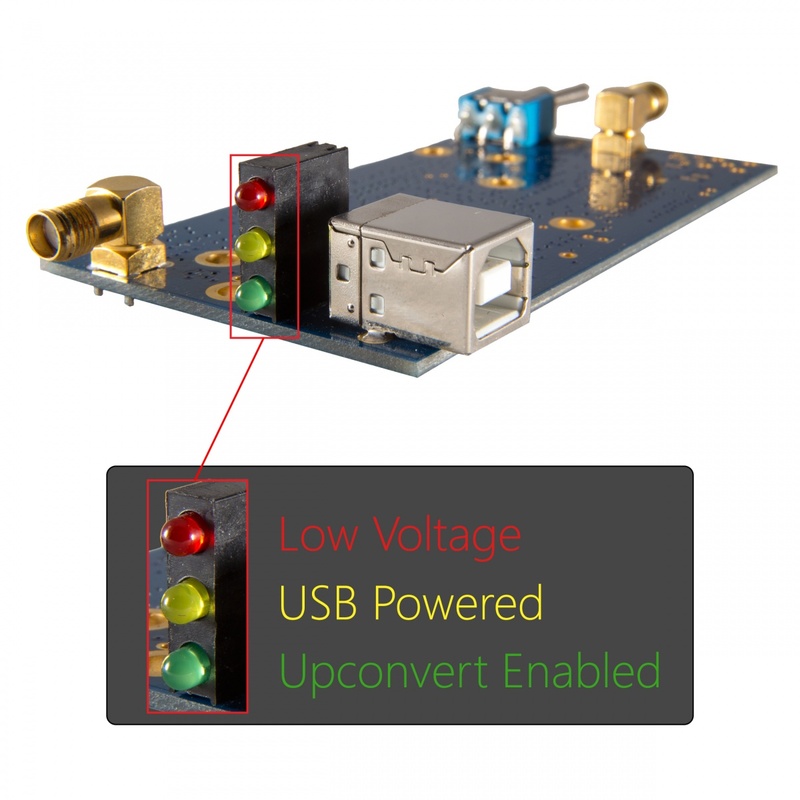 An excellent up converter with hardly any noise injected into the signal. Works as intended and within 5 minutes had a working short wave receiver. The up-converter looses 10db but this is to be expected, but I didn't notice as there is so much to pick up on the HF bands. I would strongly recommend placing the up-converter and card into a box and with a bit of soldering run the lot from one usb port. This item is a great purchase for someone getting into SDR for the first time. I received mine on Jan. 24 and have just finished initially testing it with their SDR Starter Bundle which includes a DVB-T Dongle. It's performance has been excellent. 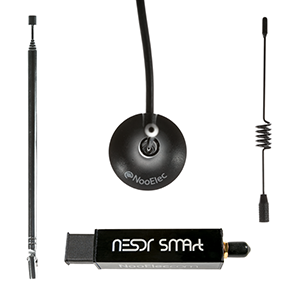 The hardware combination of the upconverter, the dongle and the free download software, SDR# (not included with any purchase) work well together. It was easy for me to get it all going with no hassle other than my own ignorance. The upconverter certainly works as advertised, and its construction quality is very impressive for any amount of money. I consider this to be a wonderful buy. 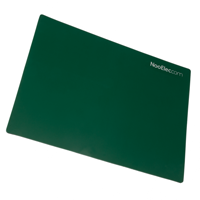 I, therefore, give both NooElec service and the up-converter a "5-Star" rating due to its performance, ease of use, and quality construction. Thanks Again NooElec for a quality product and excellent service. This is GREAT and AFFORTABLE !!! What more can you say !!!!! I am Glad some one finally made a radio product of this quality that the average Ham operator can offered. !!!! !